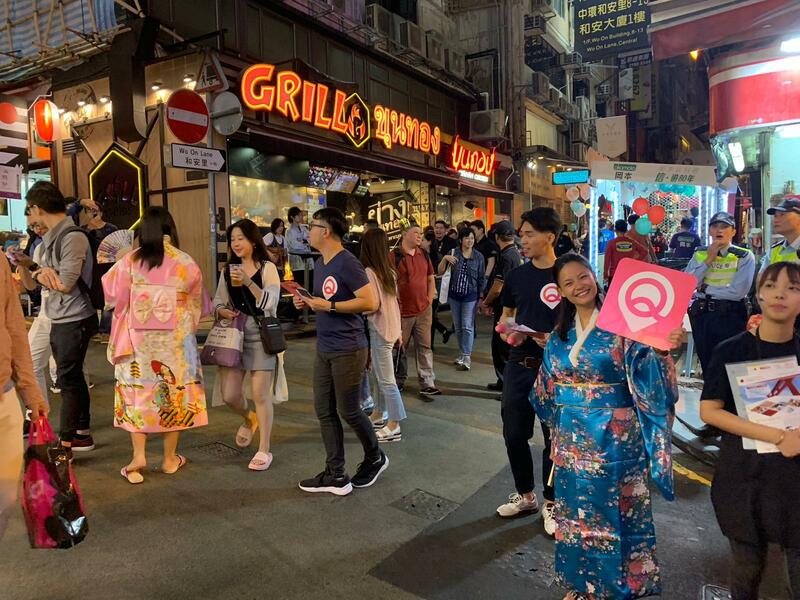 [Hong Kong] QPoint’s latest guerrilla marketing campaign commenced at “Cool Japan” between 10 to 11 Nov at the annual Lan Kwai Fong Japanese Carnival in November. 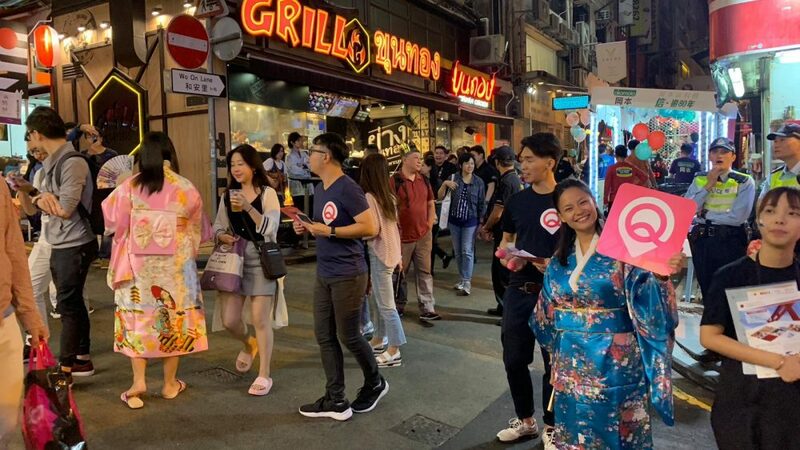 As part of the Hong Kong Tourism Board’s “Hong Kong Feast of November”, Lan Kwai Fong was transformed into a gorgeous Japanese autumn festival market. 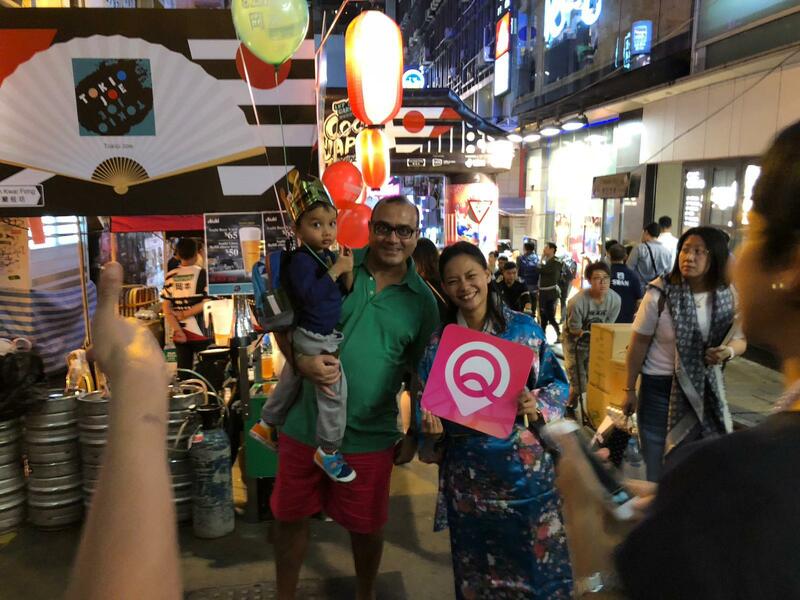 There were more than 40 stalls in the huge autumn festival market including Japanese sake, Japanese-style cuisine from all over Japan, traditional Japanese stage performance and a street parade. 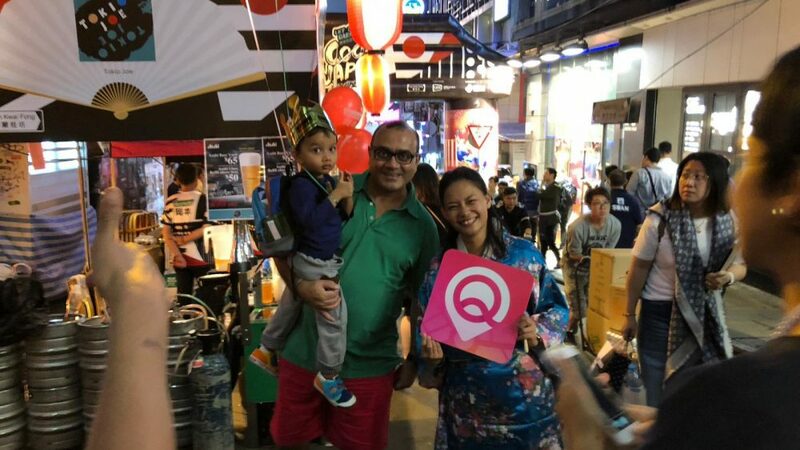 QPoint celebrated the festival with a set of brand new Japanese offers at Tokio Joe’s and Kyoto Joe’s booth. All users had to do is refer QPoint to a friend and both the friend and the referrer can get a set of Japanese themed coupons!